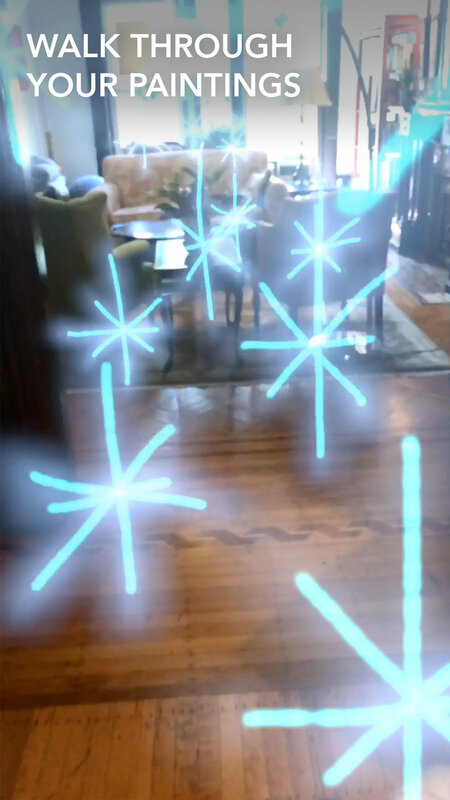 LightSpace is an iOS app that takes advantage of augmented reality to let you paint with 3D light in the real world! 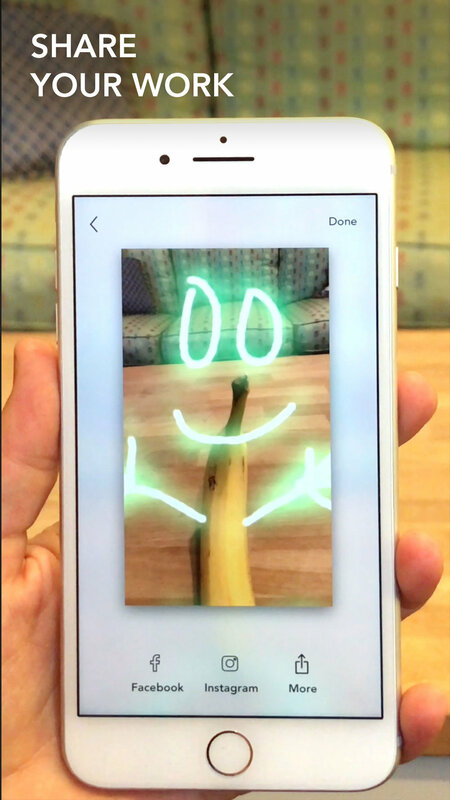 Use LightSpace to paint wings on your friends, make fireworks in your living room, write love notes with sparklers, and draw faces on bananas. LightSpace is an iOS app that lets you paint with 3D light in the real world! Use LightSpace to paint wings on your friends, make fireworks in your living room, write love notes with sparklers, and draw faces on bananas. Here is a walkthrough of LightSpace. This third grade class is using LightSpace to make learning multiplication tables and solving math problems more fun. Here is a thowback to the original Apple Macintosh and how far we have come. We're a two-person team developing this app in our living rooms. Your donation helps us make LightSpace and other creative apps like this.